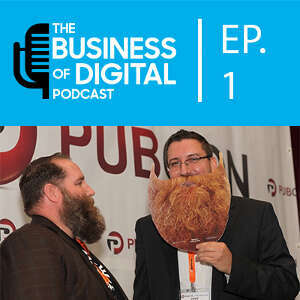 Dave and Mat kickoff The Business of Digital Podcast with Episode 1 after a few months of kicking around the idea and finally meeting and saying “LETS DO IT”. Meet your hosts and get to know a bit about their backgrounds are and then listen as they get into Social Media on a budget for the SMB. Some of the stories included in this episode include a Food Truck, a great hot dog stand, bbq and we throw our friend under the bus for using ketchup on a hotdog while in Chicago (he knows who he is!). The episode wraps up with some tips on dealing with bad reviews and haters that you will eventually run into on Social Media. It is also highly suggested that you eat breakfast/lunch/dinner before you listen to the episode.